Delivering a talk? 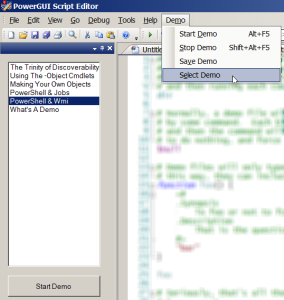 James Brundage has just released an add-on giving you a rich demo environment right within PowerGUI Script Editor! The demo will go command by command, at any time you can intervene and just execute something in the PowerShell Console pane, show variables, and so on. And obviously when you are done – you can just switch to another script.